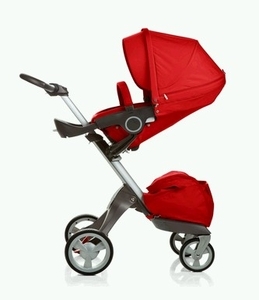 The Stokke Xplory Stroller is one of the best baby stoller with an adjustable 2-way (front/back facing) high up seating, its also very easy to maneuver and adsjust to diffrent heights of mums and dads alike. 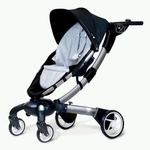 It is extremely stable and has an innovative 2-wheel mode for going up and down stairs or other difficult terrain. The Stokke Xplory is one of the best urban stroller that you can now buy online in Singapore with us. Parents loves the high seating position that keeps babies away safe and with easy eye contact between parent & baby. Fabric Material: Stokke Xplory textile is SPF50 certified and protects your baby¡¦s sensitive skin from harmful UVA and UVB rays.